William Shakespeare, Shakespeare also spelled Shakspere, byname Bard of Avon or Swan of Avon (baptized April 26, 1564, Stratford-upon-Avon, Warwickshire, Eng.—died April 23, 1616, Stratford-upon-Avon), English poet, dramatist, and actor, often called the English national poet and considered by many to be the greatest dramatist of all time. There is great conjecture about Shakespeare's childhood years, especially regarding his education. Scholars surmise that Shakespeare attended the grammar school in Stratford. While there are no records extant to prove this claim, Shakespeare's knowledge of Latin and Classical Greek would tend to support this theory. In addition, Shakespeare's first biographer, Nicholas Rowe, wrote that John Shakespeare had placed William "for some time in a free school." John Shakespeare, as a Stratford official, would have been granted a waiver of tuition for his son. As the records do not exist, we do not know how long William may have attended the school, but the literary quality of his workssuggests a solid educational foundation. What is certain is that William Shakespeare never proceeded to university schooling, which has contributed to the debate about the authorship of his works. Shakespeare occupies a position unique in world literature. 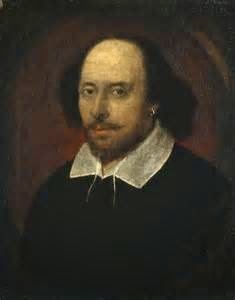 Other poets, such as Homer and Dante, and novelists, such as Leo Tolstoy and Charles Dickens, have transcended national barriers; but no writer’s living reputation can compare to that of Shakespeare, whose plays, written in the late 16th and early 17th centuries for a small repertory theatre, are now performed and read more often and in more countries than ever before. The prophecy of his great contemporary, the poet and dramatistBen Jonson, that Shakespeare “was not of an age, but for all time,” has been fulfilled. In 1599, along with some fellow actors, Shakespeare built a theatre on the South Bank of the River Thames which he named ‘The Globe’. It was here that many of his plays were performed. Today, visitors to London can still watch Shakespeare plays at the restored Globe Theatre. William Shakespeare was a very well-known character in Tudor England. It is thought that Elizabeth I was a fan of his plays.